Saul was persecuting the Church at Jerusalem and casting many into prison. He also stood by and held the cloaks of those who stoned Stephen. Because of this great persecution of the Church, the members left Jerusalem and went into surrounding regions. But notice the scripture says they went everywhere PREACHING the WORD. Anyone who is sanctified to be Holy by Jesus Christ can preach the Word. Acts 8: 1, 4 At that time a great persecution arose against the church which was at Jerusalem; and they were all scattered throughout the regions of Judea and Samaria, except the apostles. Therefore those who were scattered went everywhere PREACHING THE WORD. 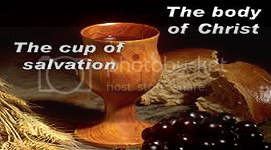 By ecclesiastical terms “sanctified” means: consecrated or made holy. 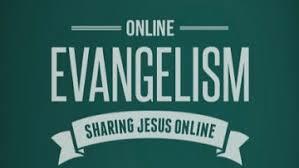 THANK GOD and blessings to all who are preaching the Word via blogs, websites, and all the media sites available. Spreading the Gospel of Jesus Christ throughout all of the world for the first time in the history of the world. It is Christ who commands us to preach the Word! Now, more than ever, the general population needs to be saturated with the Gospel message of salvation by Jesus Christ. Now is your time to truly be a living sacrifice for Christ. PREACH! Pew theology does not satisfy the needs of the unsaved. Preaching to entertain or make you feel good in your pew at church doesn’t get it done. Having a long list of ministries by your name does not satisfy the down to the earth grass root gospel preaching to the unsaved. The unsaved is where the emphasis should be. Not to please those in the pews. Wake up America! We need missionaries as much as any country in the world. Is your neighbor saved? Do you even know? Share the Gospel! Preach the Word of Glory!